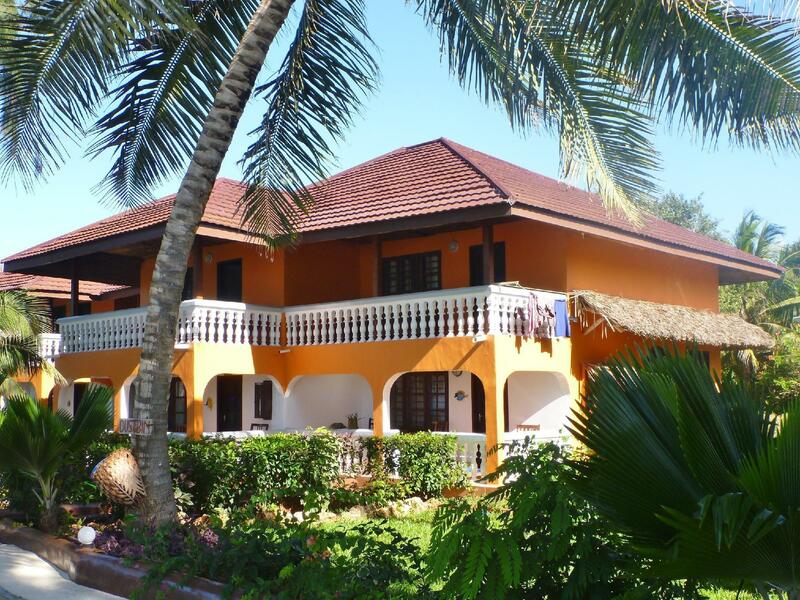 ﻿ Mnarani Beach Cottages Zanzibar. JIMAT di Agoda.com! Ada soalan mengenai Mnarani Beach Cottages? Sama ada anda melancong atau ke luar kawasan kerana kerja, Mnarani Beach Cottages merupakan pilihan penginapan hebat ketika melawat Zanzibar. Dari sini, tetamu boleh menikmati akses mudah kepada semua yang bandar meriah ini boleh tawarkan. Untuk pilihan bersiar-siar dan tempat daya tarikan tempatan, pelancong tidak perlu pergi jauh dari hotel kerana ianya berdekatan dengan Kendwa Beach. Menawarkan tetamu hotel perkhidmatan yang unggul dan pelbagai kemudahan, Mnarani Beach Cottages komited untuk memastikan penginapan anda berada di tahap seberapa selesa yang mungkin. Kemudahan utama hotel termasuklah Wi-Fi di tempat awam, tempat letak kereta, pengangkutan lapangan terbang, bilik keluarga, kemudahan BBQ. Hotel-hotel telah direka demi keselesaan dan memudahkan tetamu. Sebahagian bilik menyediakan bilik larangan merokok, penyaman udara, panggilan kejut, beranda/teres, telefon. Di samping itu, pihak hotel menawarkan aktiviti rekreasi untuk memastikan anda mempunyai perkara untuk dilakukan sepanjang penginapan anda. Dengan lokasi yang ideal dan kemudahan sepadan, Mnarani Beach Cottages sangat memuaskan hati. super pool quiet loacation verry friendly staff i was happy about the family atmoshere, very clean rooms in a quite and tranquile location , i enjoy the garden and the nice flowers. i was very very happy with you. thanks for this fantastic 14 day @ your resort. Very nice staff that took a genuine interest in our family. The hotel needs some renovation and it seemed they were on the way with this (changing the rail when we were there off season). The hotel is ca. 15/20 min walk from Nungwi Beach but Hey close to the turtle sanctuary. Very nice food. A bit run down but still a nice experience. The location of this hotel is awesome, you are literally sitting on the Indian Ocean. There are plenty of water sports to try but there is not much else in the "town" are so really this is a place to just sit and enjoy the hotel. The bar area is absolutely amazing and the two bartenders Juma and Khamis were just fantastic. They have games and the reception has a library.Enjoyed an amazing massage (Belima or?) but she was just lovely. Reception staff could be improved apart from Ali who was wonderful. Met the owner Nasser briefly and he also seemed lovely. I was not overly impressed with the food. Dinner and breakfast were included in the price but the food was mediocre. I ordered a burger (which was like 15 dollars!) and it was inedible. I told the waiter and he apologized though I think for the price, this should've been removed from the bill. The rooms at this hotel are very basic and for the price should be improved ...the bathrooms are poor and no water pressure at all. The location of this resort is one of its USP, the waves come knocking at your door. The facilities are just okay for budget accommodation. The rooms are small and don't know tea/coffee or water facilities. You are expected to buy everything from the hotel restaurant/bar. 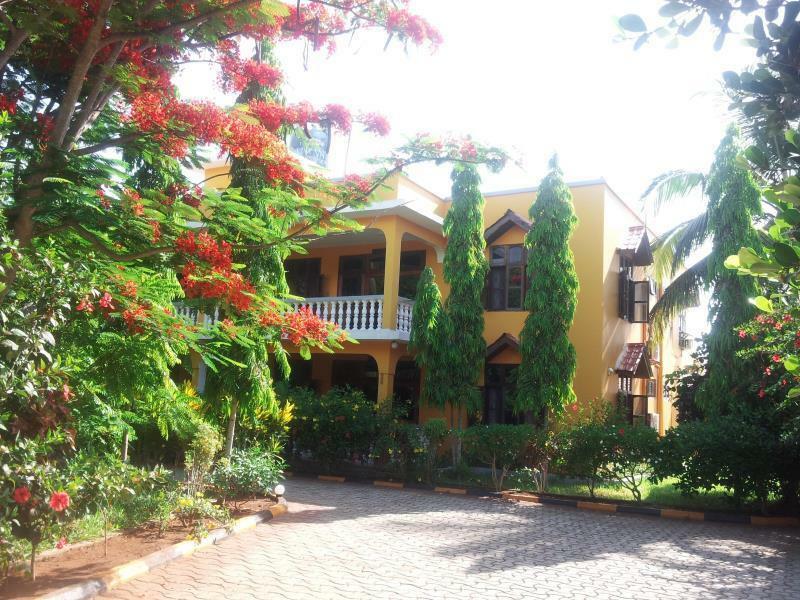 Large rooms with fan and AC, hot shower, clean pool right by the ocean. 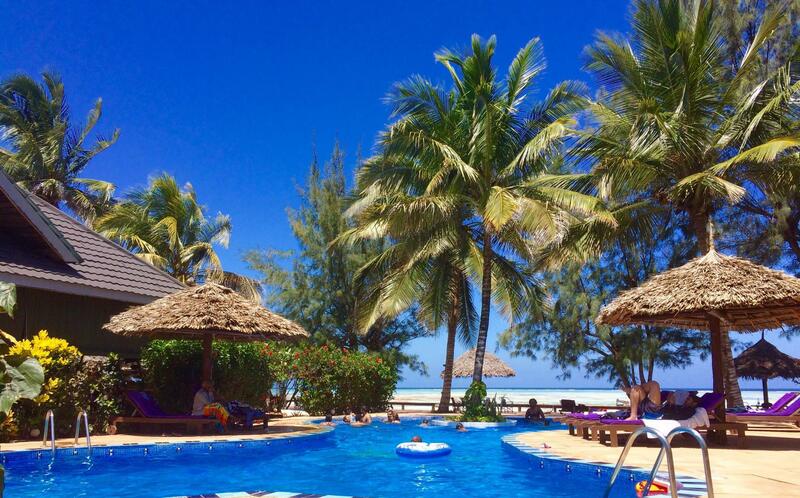 There isn't a beach to speak of in Nungwi although you can walk a long time at low tide so having the pool is a plus. The staff were really great and friendly. Breakfast is good, dinner could be improved. All in all, good value for money. 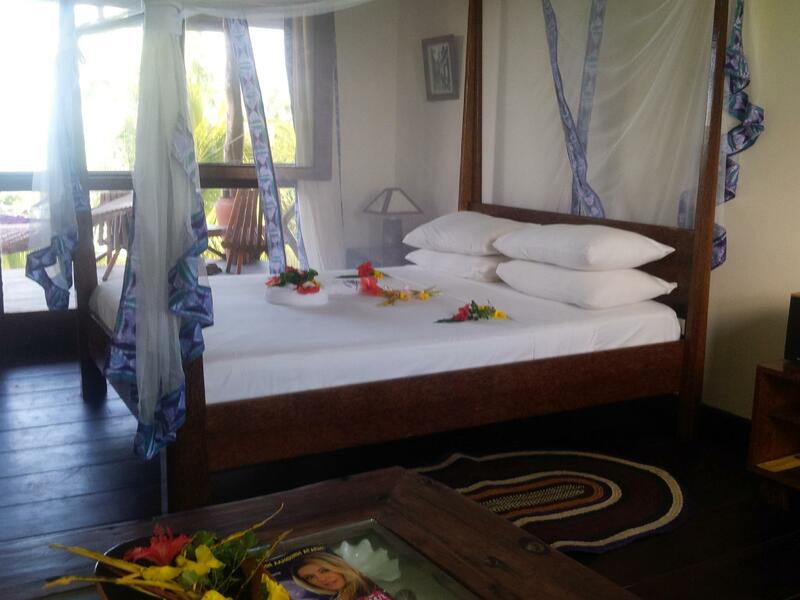 Mnarani resort located on the amazing spot in Nungwi is very peaceful, quiet and romantic. Food was tasty and personnel very kind and helpful, however the bathrooms and especially showers in the sea view cottages needs improvements. They are not appropriate for this category of accommodation. Dear Michal, Thank you very much for the fantastic review, we will take appropriate action in standard sea view cottages to make all thing works perfect for our future guests. Nice location in front of the beach. Staff very nice and helpful. Nice facilities. Excellent sun deck with sea view. 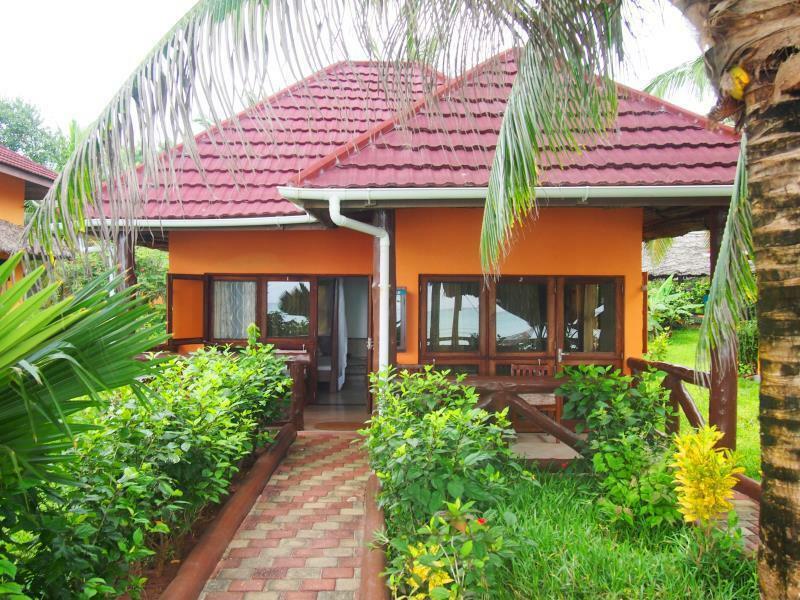 Quiet location but within walking distance from main Nungwi beach. Would stay there again for sure! All aspects of the hotel are good except the food. The restaurant needs a good chef. The food we ate was not at all upto the mark. The hotel was very nice and the food was lovely (especially on local night). But the best thing about this hotel was the staff. They were so lovely, helpful and kind all the times! You can also book trips there. The hotel is right at the beach and the view is outstanding! Nice cottages, clean and air conditioner, leaking toilet and bad shower. No beach, but nice wooden deck. Breakfast oke, dinner not great. The staff are very nice location is good its quiet but close enough to all the bars. i didn tlike the bed it was too hard for me. the food was very good. After 12 days of safari I was in need of a relaxing environment. The grounds of the resort were well manicured and welcoming. I visited the spa daily and enjoyed my time with Emily, the one-woman spa provider. Meals were served buffet style one night and pre-ordered three courses the other night on a rotating schedule. The diversity of food was good, and the breakfast remained constant. The portion of the beach the resort sits upon is beautiful. I ventured out the first day, but remained at the resort the remainder of the time. The beach boys further up the beach were not so welcome. All in all I enjoyed my four days. The resort pales in comparison to some of the flashier resorts, but I believe the view can't be surpassed. The friendliness and effectiveness of the staff. Amazing customer service! The breakfast was excellent. I was very satisfied and there is nowhere else I would have wanted to stay up north. 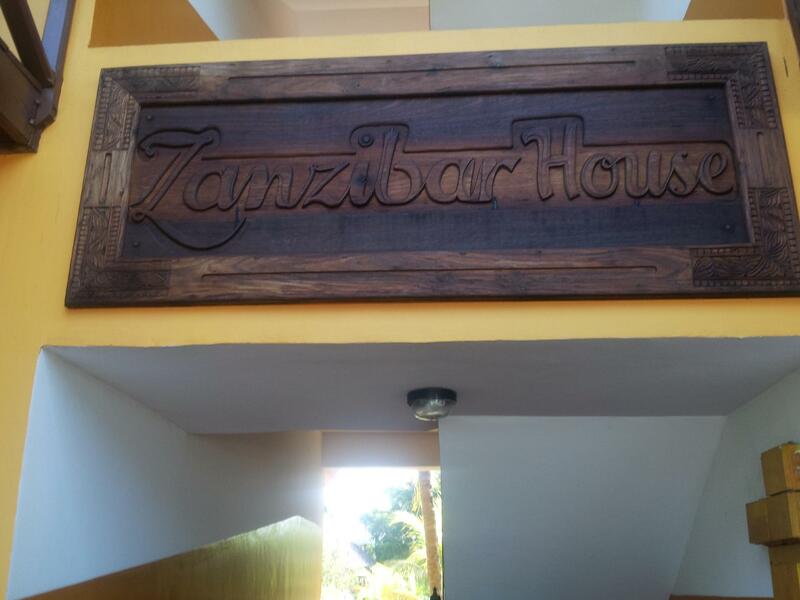 Personal ist sehr nett und zuvorkommend, Essen teilweise gut Ich hatte ein Zimmer im Zanzibar House,wo Schimmel an den Wänden war.Besonders für Kinder finde ich das nicht akzeptabel.Man konnte teilweise nicht atmen,so habe ich die meiste Zeit draussen verbracht.Preis-Leistungsverhältnis nicht überzeugend. Das Hotel besteht aus mehreren winzigen Bungalows, die furchtbar, lieblos und super spärlich eingerichtet sind. Die Betten sind klein, Matratzen durchgelegen und das Badezimmer ist eine Nasszelle. Die gesamte Anlage ist lieblos und trostlos eingerichtet und mit 125€ die Nacht war es unsere teuerste Unterkunft im 2 wöchigen Urlaub. Wir hatten uns viel mehr erhofft. Schade eigentlich, denn das Essen (Frühstück als Buffet und Abends gab es einmal 3-Gänge-Menü und einmal mongolisches BBQ) war perfekt und das Personal extrem nett, aufmerksam und bemüht, alles so gut wie möglich zu machen. Die Lage ist auch nicht super denn direkt beim Hotel kann man nur den Pool nutzen. Bei Ebbe kann man ca. 25 min. am Strand entlang nach Nungwi laufen, muss dann nir aufpassen, dass man auch bei Ebbe wieder zurück kommt. Also wem Zimmer prinzipiell egal sind und stattdessen Wert aufs Eesen legt, der ist hier genau richtig.